According to Irish Domain Registry’s report, the volume of .IE domain registrations in 2012 grew by just above five percent. In comparison to other developed economies, the number of .IE domain registrations per capita in Ireland is quite low with the total number of 182,284 domain names in 2012, a growth rate of 5.3%. The growth rate is not that impressive in the domain name industry due to, undoubtedly, restrictive registration policies and regulations in Ireland and the overall economic slowdown in Europe. 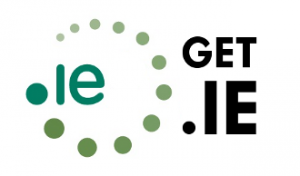 The number of new .IE domain registrations decreased from 39,398 in 2011 to 33,484 (by 15%) but when counterbalanced by 24,345 domain names that were not renewed or deleted, the outcome was a boost of 9,139 domains added to the Irish TLD database. This accounts for a 5.3% increase by the end of 2012. The figure is considered satisfactory taking into account the effects of the economic downturn in Ireland, particularly on small and medium sized enterprises. In making the announcement, the Irish domain authorities stressed a solid core trading performance for 2012 where there was a growth of 19.3% in total volume of new .IE domain name registrations while Members’ Funds increased by 8.5% to €3.6 million. The market share increase has also been observed from 42.8% in 2011 to 45.8% in 2012. The Irish Domain Registry is hopeful it will enable them to further strengthen the aspects of safety, stability and resilience of the .IE ccTLD. Despite a low number of new .IE domain registrations in the first quarter of 2013 when compared to the same period in 2012 (down by 6.4%), the Irish domain authorities remain optimistic of future growth attributing the drop to continuous unfavourable trading conditions in Ireland and the general economic climate in Europe. Nevertheless, the Irish online ecosystem continues to expand and the Irish Domain Registry’s current trading performance is sound with costs under control. The Irish domain authorities also affirm their readiness to implement technologies and products such as DNSSEC (secure DNS) and IDN (Internationalised Domain Names) to accommodate the interested market. Investing in process redesign and automation have been approached as priorities by the domain authorities as well as supporting small and medium sized companies through outreach and promotional programs. The Irish Internet community has also been continually supported by extending the OPTIMISE Fund in 2013 to a value of €150,000. To register .IE domain name for your company or private use, you can enter desired name into search form below or contact Web Solutions` support at support@web-solutions.eu. Non-Irish companies are asked to demonstrate intent of doing business in or with Ireland. This is normally done by submitting a brief letter of intent, which Web Solutions will be helpful in drafting. Other documentation required is a copy of the applicant company´s certificate of incorporation in its local country.